This is a fun activity for little kids, and the end product can be given as an Easter gift to grandparents for their fridge. 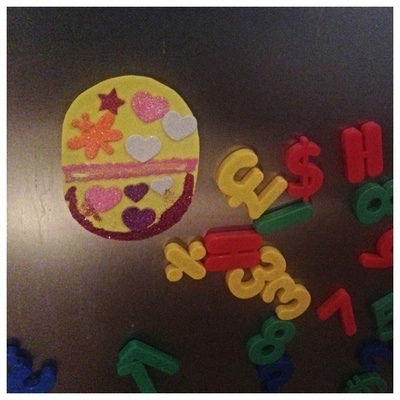 If you don't have any magnets, the Easter egg would look equally gorgeous on the front of an Easter card. Time: 10 minutes with an additional 5 minutes drying time. 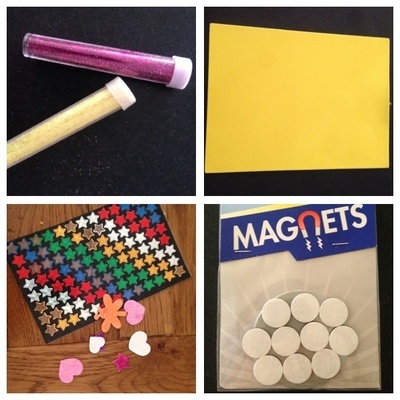 Coloured foam sheets. 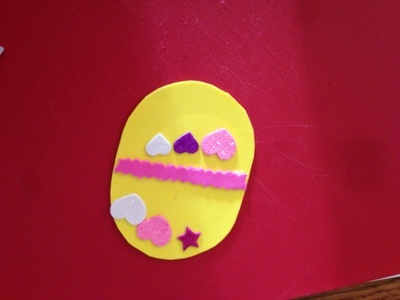 I used yellow foam for the egg, and some pink foam for decoration. Stickers of your choice. I used foam glitter stickers. 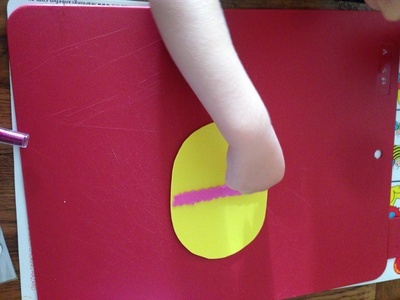 Cut an oval shape from a foam sheet. You could draw one freehand and cut out, or you could use a guide. I used a yogurt pot as my template. For under 5's, an adult will need to do this preparation. 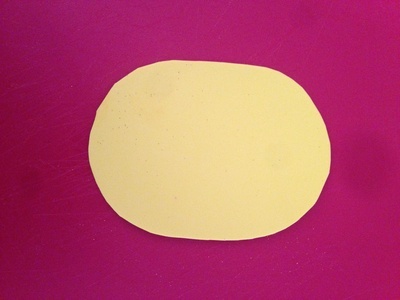 Cut out a thin strip of foam sheet to the exact width of your egg shape. Use a different colour to the egg shape. For extra decoration, use shaped craft scissors to create a different shape to the edging. Glue this across the centre of the egg. Add stickers all over your egg, wherever you want them. 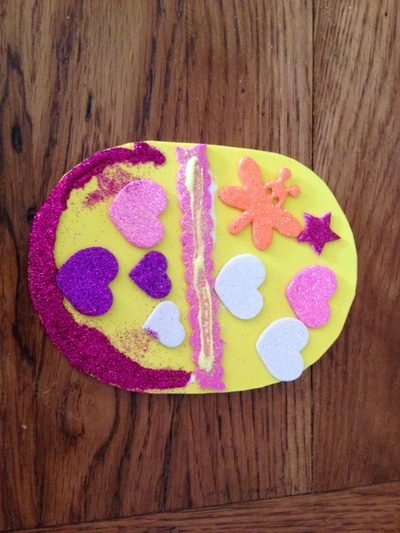 Add some glue to the bottom and top of the egg, and sprinkle some glitter over it. Shake off the excess glitter. 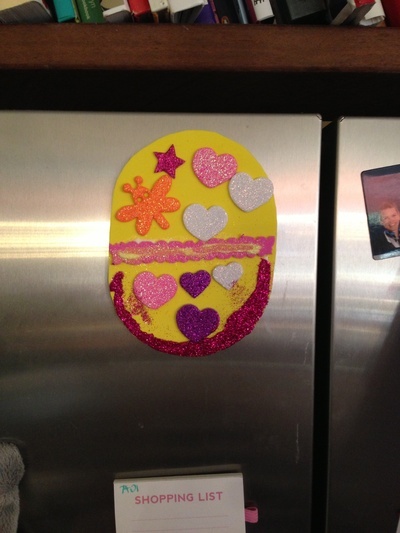 Once dry, affix a magnet to the back of the egg, so that you can add then stick it to the fridge.